ARISTOCRATS is a broad term that usually refers to people that a particular social order considers the highest social class of that society. Specifically, in many states, the aristocracy are a class of people (aristocrats) who typically possess a hereditary rank and sometimes specific titles. In some societies—such as Ancient Greece, Rome, and India—aristocratic status may derive from membership of a military caste, although it has also been very common for aristocrats to belong to priestly dynasties in lieu of this, as is the case in polities all over the continent of Africa. Aristocratic status can involve feudal or legal privileges. They are usually below only the monarch of a country or nation in its social hierarchy. In modern era European societies, the term aristocracy has often been used synonymously with the nobility, a specific class that arose in the middle ages, but the term aristocracy is sometimes also applied to other elites, and is used as a more generic term in reference to earlier and non-European societies. Nobility is a social class that possesses more acknowledged privileges or eminence than most other classes in a society, membership thereof typically being hereditary. The privileges associated with nobility may constitute substantial advantages over or relative to non-nobles, or may be largely honorary (e.g. precedence), and vary from country to country and era to era. 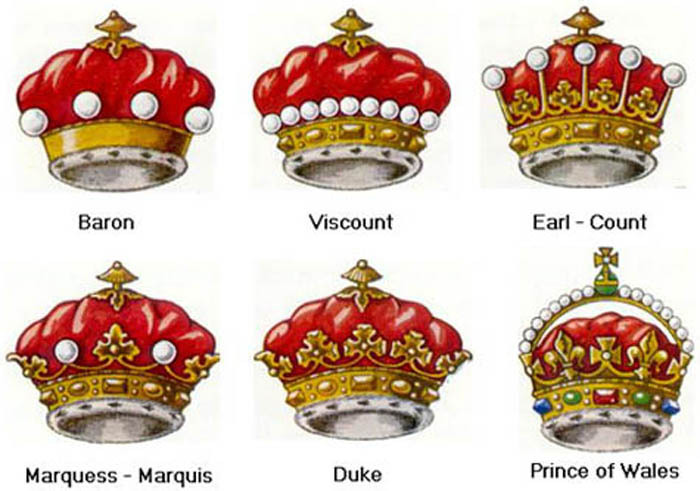 Historically, membership of the nobility and the prerogatives thereof have been regulated or acknowledged by the monarch or government, thereby distinguishing it from other sectors of a nation's upper class. Nonetheless, nobility per se has rarely constituted a closed caste; acquisition of sufficient power, wealth, military prowess or royal favour has, occasionally or often, enabled commoners to ascend into the nobility. Aristocrats: Power, Grace, and Decadence - "Britain's Great Ruling Classes from 1066 to the Present." Amazon.com. 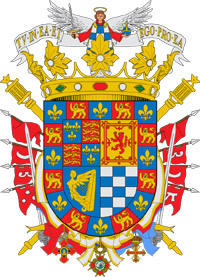 Grandee - official aristocratic title conferred on some Spanish nobility and to a lesser extent, Portuguese nobility. Holders of this dignity enjoyed similar privileges to those of the peerage of France during the Ancien Régime. 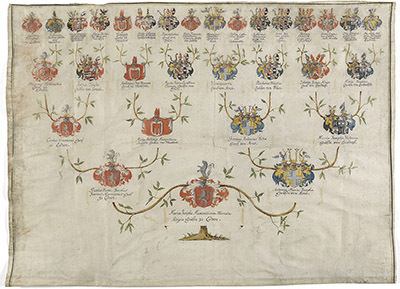 Seize Quartiers - French phrase which literally means a person's "sixteen quarters", the coats of arms of their sixteen great-great-grandparents, which are typically accompanied by a five generation genealogy outlining the relationship between them and their descendant. They were used as a proof of nobility ("the proof of the Seize Quartiers") in Continental Europe beginning in the seventeenth century and achieving their highest prominence in the eighteenth. The 'von' trap: Austrian battle over three noble letters - "Niklaus von Steiger is challenging the law that bans use of the aristocratic prefix." Who is new Duke of Westminster? most eligible bachelor - The Telegraph. ALBERT II, 12TH PRINCE OF THURN AND TAXIS - German aristocrat, businessman and car racing driver. He has been listed as the world's youngest billionaire many times since his father's death in 1990. Cayetana Fitz-James Stuart, 18th Duchess of Alba - (1926-2014). Possessor of more aristocratic titles than anyone else in the world. She was 14 times a Spanish grandee, five times a duchess, once a countess-duchess, 18 times a marchioness, 18 times a countess and once a viscountess. Named by Guinness World Records as the world's most titled person. Duchess of Medinaceli - (1917-2013). Nine times a duchess, 18 times a marchioness, 19 times a countess, four times a viscountess and 14 times a grandee of Spain — as well as head of a family whose members included three saints and two Popes. GERALD GROSVENOR, 6TH DUKE OF WESTMINSTER - via Grosvenor Estates, the Duke is the richest property developer in the United Kingdom and one of the country's largest landowners, with vast estates in Oxford, Cheshire and Scotland, as well as large areas of Mayfair and Belgravia in central London, and also elsewhere in Europe. FRESCOBALDI - prominent Florentine noble family that have been involved in the political, sociological, and economic history of Tuscany since the Middle Ages.